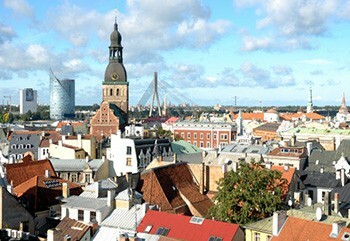 Enjoy the culture of Riga and taste the spirit of Latvian people. Our english speaking guide will show You the most popular, historical places, government buildings and much more. In this museum You can learn everything about Latvian history between 1940. and 1991. years. Mission of museum is to remember people who died in outlandish wars, to remind the world about, what people have done to our country. Latvian Ethnographic Museum is one of the oldest open-air museums in Europe. Currently, it takes up 87.66 hectares of pine forest by Jugla lake. Here You can see buildings from regions of Latvia - Kurzeme, Vidzeme, Zemgale, ANO Latgale. Perfect activity after mad party events in Riga. This light genre is for those who really want to know something more about Latvia and its culture. Rundāles castle is the bigest castle in Latvia. Style is made by Italian architect Franchesco Bartolomeo Rastrell. Enjoy a quiet and relaxing atmosphere siting in Rundāles park and feel the history next to You. Enjoy a all day trip trough Latvia to Estonia. See the amazing nature of Baltic states, Saulkrasti beach,visit beautiful St Catherine's Church, travel through Parnu and experience much, much more! Wonderful choice for great cultural weekend. Take a bus tour through Latvia to Lithuania. Enjoy beautiful places of Latvian culture on the way to Hill Of Crosses in Lithuania. The most popular places for cultural visits will be seen.